Like many other PhDs and grad students, I’ve been teaching as an adjunct instructor for some time now. Since 2007 I have taught Statistics and sometimes Psych 101 for a local community college. The pay is a pittance, there are no benefits, and despite being viewed as somehow less than our full time colleagues we adjuncts teach more than 75% of the courses in our community college district. I am only half joking with my students when I say that what I’m paid covers the gas to get there and not a whole lot more. However I have a day job, which has meant that the low pay and lack of benefits wasn’t an overwhelmingly limiting factor in my teaching. Many of my colleagues do the same. Recently a crowdsourcing project has spun up to try to understand which schools are great to their adjuncts and which could use some improvement (or shaming). The Adjunct Project started as a simple google docs spreadsheet with a low expectation for how many people would provide some information. At last count there are more than 1300 distinct records in the spreadsheet and it is growing all the time. The document holds records from everything between the ivy league and the for-profits. Rural to urban, large to small, there are a lot in here already and it’s still growing. I encourage you to go add your information. This could well result in a clearer picture than normal of the conditions under which adjuncts work. To those of you whose ONLY job is as an adjunct, I urge you to open your imagination and find another line of work that will pay you a living wage. 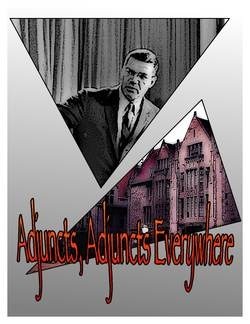 Adjunct instruction is good for little more than a part time side gig, and it won’t be until they can’t FIND idle bodies to teach their classes that colleges and universities will begin to see that the system needs to change. Who knew I was still a not-for-profit snob…..